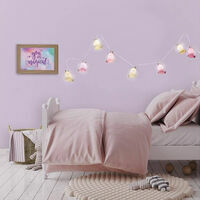 Unicorn String Lights | Powered by magic and LED's! Powered by magic and LED's! Creating a magical ambience for any room! 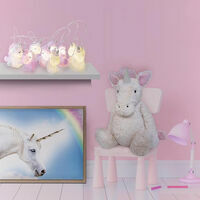 Turn your home into a magical fantasy land with these beautifully designed Unicorn String Lights. 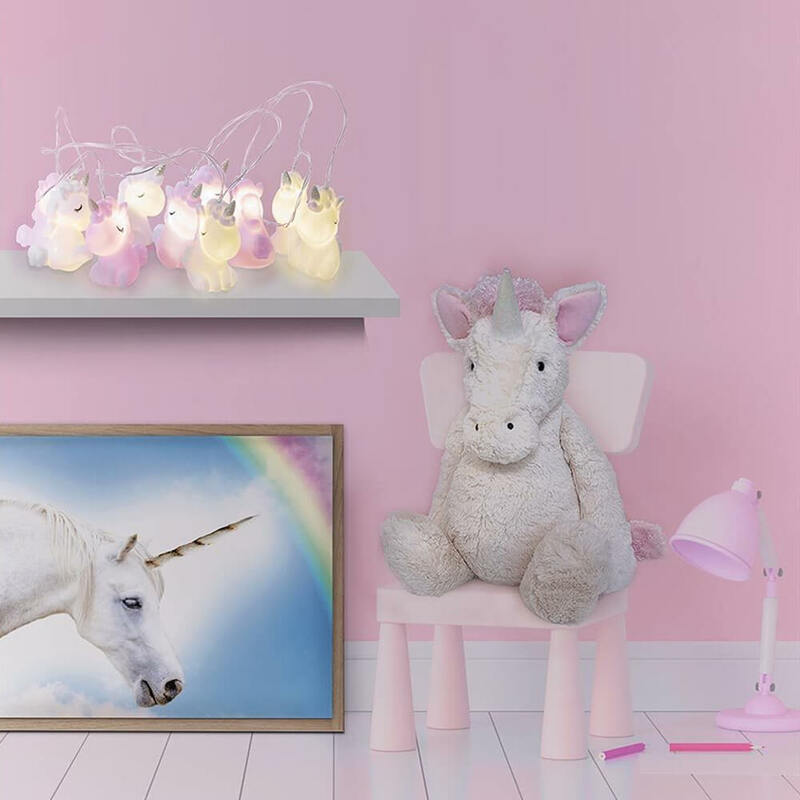 Running on 2 x AA batteries (not included), they make the perfect gift for any unicorn lover. 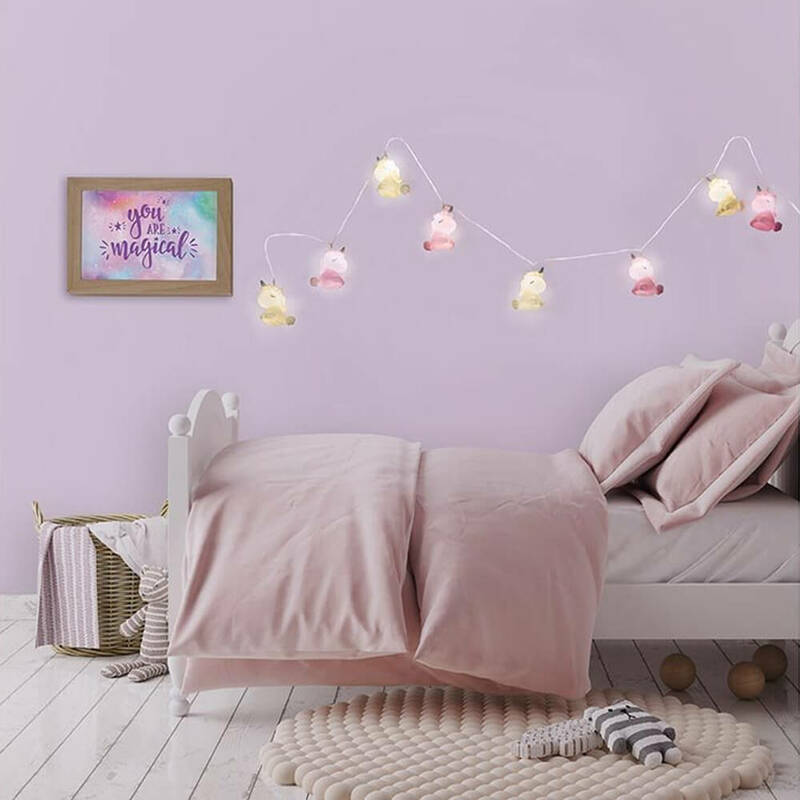 Because your bedroom can never have too much whimsy! 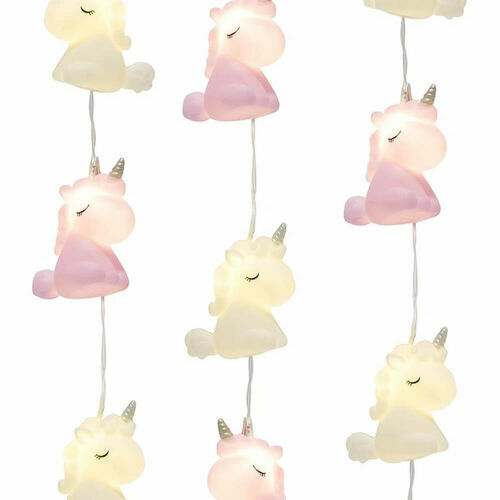 You'll instantly fall in love with the soft white glow of these 10 adorable mythical creatures. And, because they utilise energy saving LED's, they'll provide a gentle, long-lasting glow which can be used as a night light! 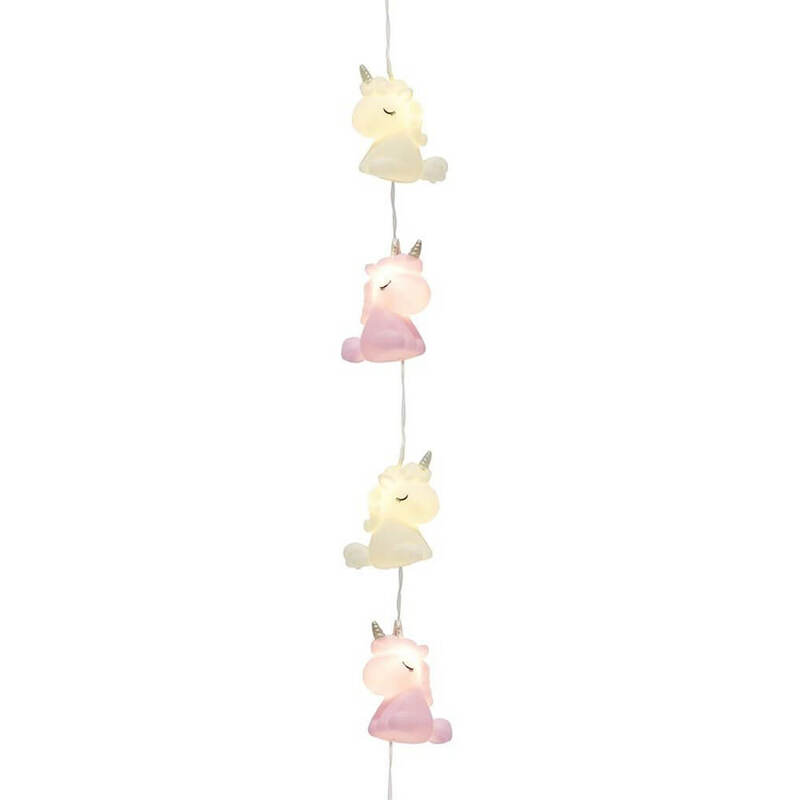 Each chibi-style Unicorn is in a sitting position, encasing the LED light bulbs. Perfect for those dizzy dreamers! Each unicorn is approx 7.5cm high. Note - this is NOT a toy. Adult supervision required. These lights are adorable! They glow a gorgeous colour and are a good length and nice and sturdy. Did I mention they're adorable?